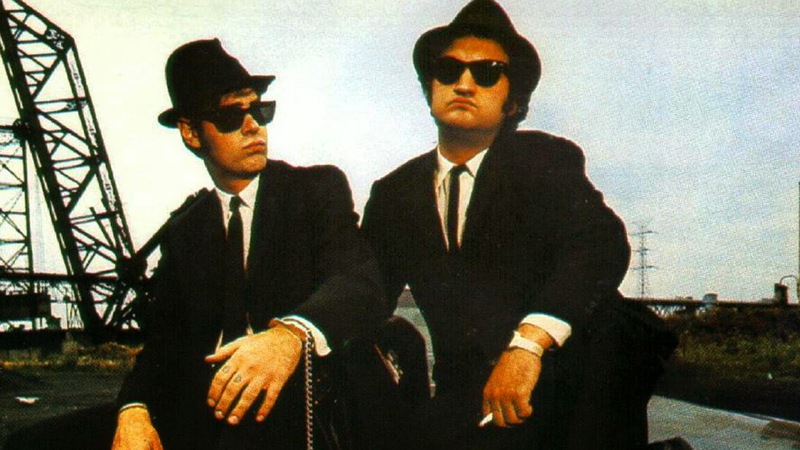 The Blues Brothers - "We're On A Mission From God"
More and more people continue to move to Houston and other large cities as housing and transportation preferences continue to shift toward the desire to be in more urban, dense neighborhoods. For better or worse, many people will feel the effects on their established neighborhood experiences and rhythms. Churches are no exception. Churches in Houston and in cities all over the country are facing increasing pressure from developers to sell their land to accommodate increasing demand for residential or commercial redevelopment. These attempts seem to perpetuate the greedy reputation of developers, who are typically perceived as effectively careless about a neighborhood's established social fabric. There are certainly times to be critical of redevelopment, especially when it is pressed upon active churches or those intending to live out their entire lives in their homes. In other cases, redevelopment certainly makes sense and can be crucial to the repair or betterment of a neighborhood. Established churches, and those with buildings in the urban cores of cities face advantages and disadvantages being situated on somewhat larger tracts of land. Urban churches, which vary greatly in size and demographic of their congregations, are advantaged because they are close to large centers of population, including international populations, families and other people groups. Urban churches are also close to unchurched or underserved populations, which are at the heart of a church's mission. Congregations can also serve residents in neighborhoods through providing programming and space for community events, not to mention through personal relationships with parishioners. As a disadvantage, churches that maintain large properties that are prime targets for multifamily or commercial development. These properties, unfortunately at times, also make excellent locations for the all-too-familiar townhouse subdivisions. Existing churches that serve their neighborhood can fall prey to the temptation of a large payment for their property, sometimes to the detriment of their congregation and surrounding neighborhood. I have said it before, Houston needs more dense housing, including townhouses, especially within the I-610 loop. But sometimes it makes little to replace existing, contributing establishments, especially ones that make valuable social contributions to a neighborhood. A question, which was considered a few weeks ago on the StreetsBlog website by Angie Schmitt asked "Do modern churches facilitate isolation or community?" The consensus from author, and president of Strong Towns, Charles Marohn, (whose account about his church's response to bicycle lanes prompted Ms. Schmitt's article) was that the modern, suburban mega-church campuses that are prominent in many communities facilitate isolation. This question was prompted by Marohn's parish priest announcing that bike lanes threatened to displace some of the parking that exists in front of their church property, and that the church intended to oppose any such bike lanes being built. Marohn, in his dissent offers that, "Not only should we not be opposing bike lanes, church leaders around the country should be doing everything they can to reconnect the social bonds of our communities." Churches around the country can often be opposed to urban inconveniences, such as bike lanes that take away street parking, as evidenced in this case from Washington, DC. I agree with Marohn, that churches, if part of the community, should see the benefit that can come from changes in urban design and the placemaking of neighborhoods. Marohn also questions how many parishioners would really like a deeper connection with their church, and the Church as a whole, but just don’t find it convenient as they live isolated in their easily accessible suburban homes. Instead of finding community among their physical neighbors, he suggests many people find more of a sense of community in their local Costco instead of their church. Marohn ponders "just how much more fulfilling our lives would be if we did not live in such isolation. If God dwells in each of our hearts – and I truly believe that is the case – then seeking to live in communion with God should mean that we seek to have lives immersed with each other. To truly live in this way cannot be an active pursuit, one in which we have to get in the car and drive 25 minutes to a parking lot at a set time for a scheduled event with a self-selected group of people. It must be passive, where our natural day-to-day existence includes random interactions with the humanity that makes up our community, be they Christian or not. Be they affluent enough to own a car or not." As a Christian, I believe that Marohn is spot on in his question and statement highlighted above. The near-recent trend of mega church campuses fails to allow ministry to happen in neighborhoods if everyone is driving from a radius of many, many miles to gather. (Not to mention, the Houston Press named the six ugliest churches in Houston in 2011, and without surprise, half were mega churches). With a suburban church model, urbanites fail to experience the enactment that Jane Jacobs talked about in her book The Death and Life of Great American Cities. Jacobs' "sidewalk ballet", is never able to occur near suburban church campuses. At least urban churches provide an opportunity for this to happen! Jacobs saw interactions between children, nine-to-fivers, and others, all working in a sort of rhythmic cooperation, leading to her "sidewalk ballet". As the Church, what better way is there to serve the residents of your neighborhood than during times of need in their everyday rhythms? Emily Badger from The Atlantic Cities asked in November of 2013 whether the Christian church has forgotten its urban roots. I pray that it has not. Badger's article focuses its comments on Why Cities Matter: To God, the Culture, and the Church, a book written by pastors Stephen Um and Justin Buzzard. Um and Buzzard declare that, "We believe there is an anti-urban bias within the Christian community." This bias without a doubt a detriment to cities. Badger postulates that "perhaps cities have become associated with secularism because there's so much else to worship there: either the promise of cities themselves, or the prospects for good jobs or other forms of success." It is the success of cities and their industries that tempt people to find ultimate satisfaction in high-paying jobs and upscale living, which ultimately will never prove to be totally fulfilling. Um states that "we're not saying, as Christians, that cities are our ultimate hope. We're saying the God of our cities is our ultimate hope." In The Space Between: A Christian Engagement In With The Built Environment Eric Jacobsen lays a framework for the importance of the urban environment in the Christian faith. As part of this understanding he defines churches as either "embedded" or "insular". Embedded churches tend to facilitate direct connections between the interior space of a church building and the public realm, while insular churches tend to be insulated from the public realm by their own parking and landscaping, and are unfriendly to any pedestrian traffic. Jacobson closes his chapter on traditional church forms by saying "If the church hopes to be an agent of redemption in the built environment, it needs to think more carefully about the various ways its members interact, not only within the walls of the church or in their private homes, but with the world that exists right outside of the church's doors." "The real estate conversations seem to happen exclusively with those outside of the church. These are the people who call expressing an interest in buying the church property. I explain that we’re not looking to sell. Of course, you are. Everyone is willing to sell at some point. Just tell us what that point is. No, really, we feel like this is where God has called us. This kind of theological talk tends to bring no response beyond bafflement, as if it’s not possible that one could be in a place and not be willing to leave it if the price were right, as if it’s not possible that decisions and actions might be motivated by something besides money." St. Philip Presbyterian is not alone in being asked to sell their land. My home church, of which I am a covenant member, Sojourn Community Church in the Houston Heights neighborhood has experienced the same pressure. Sojourn has been asked to sell their building at various times, and most recently within the past few weeks. A local apartment developer recently approached Sojourn, announcing that "it's always been a dream to turn a church into apartments." This is exactly the type of action that perpetuates the greedy, uncaring reputation of multifamily developers. Approaching a church with a growing congregation that serves and cares for its neighbors can portray a cavalier attitude about anything more than the physical development of a neighborhood, or personal profit. Housing demand within Houston's I-610 Loop forces builders to solicit these offers. It's been going on for years, and it will continue as long as their is demand for housing within the more urbanized parts of Houston. Sojourn Heights may have actually never settled into 608 Aurora Street, had Minimum Lot Size or Minimum Building Line restrictions never been approved for its block. The property at 608 Aurora, and that directly to its south, were to be sold and developed into townhouses. The plat for Aurora Heights Grove Subdivision was approved by the Houston Planning Commission in 2006, but nothing happened with the land. A few months later an application for Minimum Lot Size and Minimum Building Line was applied for, then approved by Houston's Planning Commission, and ultimately City Council. It is interesting to see what could have happened to another one of Houston's urban churches had the former owners decided to give in to this development pressure. The neighborhood around Sojourn continues to change, as two townhouse subdivisions were approved by the Houston Planning Commission, Argos and Argos Villas. Six townhouses will be built across the street on two vacant lots, further solidifying a more urban, walkable environment. The Houston Heights continues to see development on its fringes that allows for greater density and facilitates interactions between residents in the realm of the street. "...a movement that renews the cultural fabric of this city. We see a movement of people uniting under their new identity as the people of God to form hundreds of small communities (Neighborhood Parishes) sent to engage the unique needs of their neighborhoods with the gospel. We see these Neighborhood Parishes forming new churches throughout the city, each cultivating communication, creativity, art, and renewal in their regions. As these churches partner with national and international church planting networks, we see the gospel spreading to the far corners of the Earth. But ultimately, we see a movement that is centered on the gospel of Jesus, carried out by the church of Jesus, and focuses on the mission of Jesus." Churches in urban areas provide a great deal of benefits for neighborhoods, offering meeting space for civic clubs, providing outdoor recreation opportunities, offering parking for city events, and offering programming and care for city residents. For example, Sojourn Heights offers their meeting space to the West Sunset Heights Association for monthly meetings. Sojourn also recognizes the prevalence of the arts in the Houston Heights and Montrose neighborhoods, offering the Sojourn Studio Residency. Artists can utilize unused space within Sojourn's building, using it as a free design space for a period of time, concluding with an opportunity to host an exhibition of their work with other residency artists. Church attendance continues to be in decline and many young people continue to define themselves as having no religion. Many young people do not see religion, and church specifically, as a part of their lives. I can't help but think that this is partially due to a lack of neighborhood churches that have set out to seek to love and serve their surrounding neighborhoods. Declines may also be attributed to the burden that is placed on parishioners having to travel miles and miles to be a part of a congregation during people's already busy weeks. Unfortunately, many churches are taking congregations further and further away from the central city and into the suburbs, including here in Houston. Ordinary community cannot take place in this environment. It's quite alarming to Christians that regular church attendance is somewhere near 37 percent for Americans, and is estimated to be much lower in Houston's inner-loop neighborhoods. In urban areas churches and parishioners are better equipped to love their neighbors, and to weave together their social, personal and spiritual lives, instead of spending time in traffic. Christians continue to hold firm to the belief that churches and God belong in their cities. As cities continue to grow more dense there will be continued demand for housing and commercial development. It's my hope that churches continue to have a presence in this new urban development. 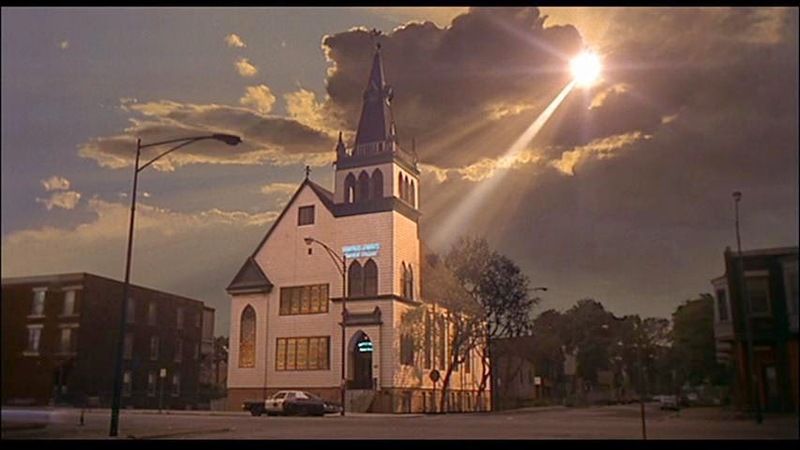 As we saw in the Blues Brothers, without an urban church, Jake Blues may never have received his message from God that led him to put the Blue Brothers band back together. Jake and Elwood believed they were on a mission from God. Without that, it would have made for a much shorter, and much more disappointing movie. Urban churches in Houston and abroad, when pressured with redevelopment can say, "We're on a mission from God." Love this post! The city needs churches, the churches need the city! That's noble and pure. The need of church loans in USA is therefore supporting churches financially. Griffin Church Loans is expert in this.